I’ll be at NYU next Thursday and Friday, April 11 and 12. Thursday’s talk, “When Prosthetics Speak,” is with the NYU Council for the Study of Disability—5:30 – 7 in the Payne Room, 4th Floor Pless Hall, 82 Washington Square East. 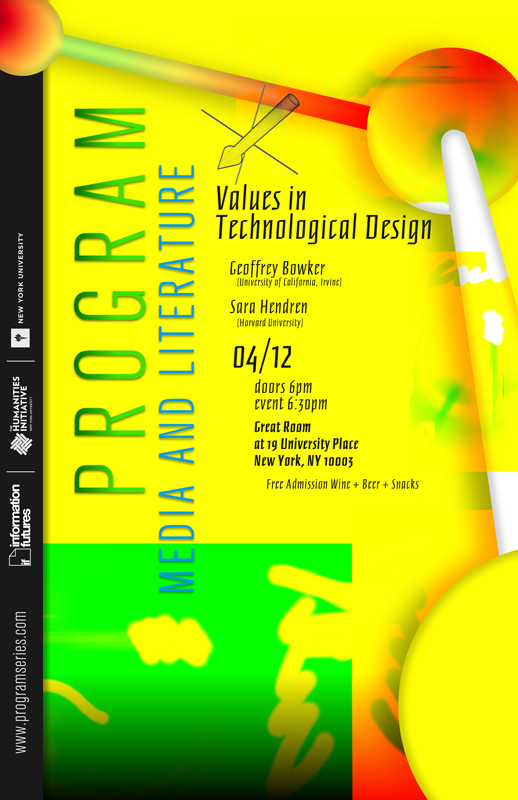 On Friday, I’ll be speaking alongside Geoffrey Bowker in the Media, Culture, and Communication department’s PROGRAM series. Starts at 6:30 in the Great Room at 19 University Place. Say hello if you’re there!